The Christian Church (Disciples of Christ) is the oldest denomination founded in the United States. The Church's founding fathers were disturbed by the hostility and lack of fellowship between Christians of different churches. They felt that much of the problem was caused by differences in doctrine. In response to this problem they proposed a church that has no formal doctrine whatsoever. What we are about doctrinally can be summed up when we say, "We have no doctrine but the Bible and no creed but Christ." Our approach is to encourage everyone to read the Bible, seek the leading of the Holy Spirit and allow God to teach us from His word. We believe that unity among believers is extremely important to the life and growth of the body of Christ. The only requirement for membership in our church is accepting Jesus Christ, the only Son of the living God, as Lord and Savior and being willing to commit to being a growing, committed member. Then, as Children of God and brothers and sisters in Christ, we seek to grow in our relationship with God and our family. Like most Christians, Disciples affirm: "Jesus Christ is the son of the Living God, and offers saving grace to all." Open Communion. 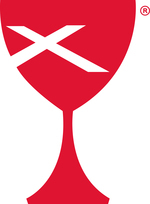 The Lord's Supper, or Communion is celebrated in weekly worship. It is open to all who believe in Jesus Christ. Freedom of belief. Disciples are called together around one essential of faith: belief in Jesus Christ as Lord and Savior. Persons are free to follow their consciences guided by the Bible, the Holy Spirit, study and prayer, and are expected to extend that freedom to others.